One of the most poetical vintage retro chairs, owing to its mysterious beginnings in the Ateliers de la Ville de Paris, and its permanent presence in the Luxembourg Gardens. It appeared as Parisians out for a stroll started to develop a clear interest in gardens and open urban spaces. Seating was needed, to complement the uncomfortable benches used to date, notably metal chairs that allied comfort, aesthetics and considerable efficiency as an outdoor seat. 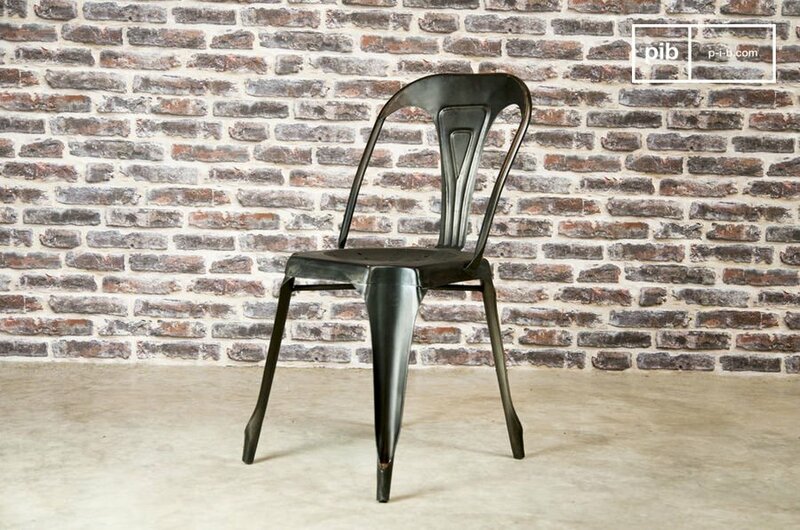 The Luxembourg metal chair was first produced in the 1920s, by the skilled employees of the Paris parks and gardens workshop, between fixing up a lock and welding a screen door. No creator, designer, or draughtsman, just workers imagining a very pragmatic concept that did not draw much attention when introduced. Freshly painted in their original green Luxembourg vintage chairs made an entry into the garden and soon became an integral part of a walk. Anyone out for a stroll could now rent a chair and install themselves comfortably in the alleyways or around the basin in the centre of the Luxembourg Gardens, and become part of this well-known scene, a mix of nature and metal chairs. Seventy years after entering service, Luxembourg vintage chairs received their first new designs. The intellectual property rights to the chair belong to he French Senate, which owns the Ateliers de la Ville de Paris that originally imagined this seat. In 1990, the Senate launched a call for tender to reproduce Luxembourg vintage chairs , until then manufactured by several family-run businesses, as per the original model. The designer for the Fermob brand, well known for its metal garden furniture, was subsequently authorised to create more modern-day Luxembourg chair, and launch the new production run, opening the doors to greater success. The harsh lines of the original metal chairs were softened slightly and rounded, the slats broadened to make the seat more agreeable, and, above all, it now comes in bright colours to liven up the panorama. Since 1990, the Luxembourg chair can now be found across the world, and in all the major gardens in Paris, such as the Tuileries or Palais-Royal, as well as an emblematic part of the visual landscape of the Luxembourg Gardens.